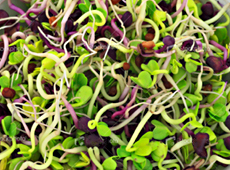 Radish Sprouts have 29 times more vitamin C than milk and 4 times the vitamin A. 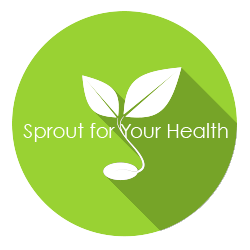 These spicy sprouts have 10 times more calcium than a potato and contain more vitamin C than pineapple. Uses: Too delicate for cooking, radish sprouts are generally used to spice up salads or sandwiches.